Use our book links to the exact editions used in our literature-based World History I course for homeschooled high school students, so you may order your World History I books at the same time you order your curriculum. We’ve put together some great, living books for this course that will help your high school student be immersed and engaged in world history in a way that textbooks just can’t achieve! Remember when ordering through Amazon that if you buy qualified books and your order totals $35 or more, you do not pay shipping. If you have an Amazon Prime Membership you don’t pay shipping and you usually receive your order within two days. Thanks for using our links to buy your books! These are affiliate links so we make a few cents on the books you buy, at no extra cost to you. There are additional reading selections in this high school course that are not included here because they are readily available online for free. Note: Unfortunately, these book links can be a little unreliable when viewed on a cell phone. If you’re having difficulty seeing the links, try another device. A laptop or desktop probably works best. Refreshing the page helps, too, if you are seeing the yellow generic Amazon ads instead of a book link here and there. Written by an expert Egyptologist as well as a popular historical fiction writer, this very readable book gives us a fascinating picture of a culture that left behind quite an archaeological feast. This book details the life of the pharaohs and other important characters in Egyptian society and includes the results of the most recent excavations and historical research concerning Ancient Egypt. 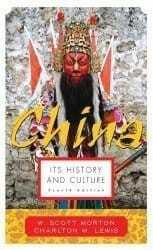 You really can’t understand China today without understanding China’s ancient past. Although China doesn’t have the oldest culture in the world, there are a certain number of characteristics that have remained essentially the same for centuries! This book provides a readable summary of Chinese political history and its culture, interweaving an introduction of Chinese art, poetry and other cultural expressions chronologically through its history. We will read the first part of this book in this course and the second in World History II. This is an excellent, readable though scholarly book containing analysis of literary features of the Bible as well as historical events, appropriate for a World Literature course as well as World History. It is most effective for students (and teachers) who are familiar with Bible study and have a competent working knowledge of the Old Testament, particularly. There are study questions at the end of each section of reading, which we have included as one of our Honors assignment choices in this unit. This is a chance for your honors student to dig deep into the truths of Scripture! 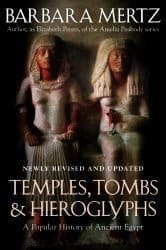 This is a comprehensive, lengthy but readable, book that covers the time periods of Ancients I and II. We would recommend this book only for very advanced readers, unless it is assigned as summer reading prior to taking this course, as there is already an abundance of reading in this curriculum for the average student. Note that the author is an ‘old earth’ proponent. 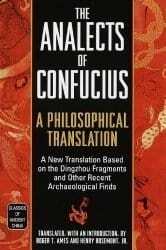 This is a wonderful introduction to the philosophy of Confucius. Although appearing quite long, this book includes Chinese as well as the readable English translation. 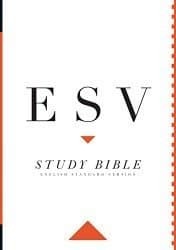 There are multiple translations of this book available, but this is the one we recommend based on its readability. 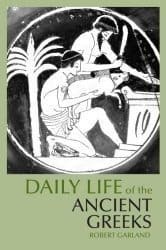 This well-researched and readable history contains many details about the Ancient Greeks’ everyday life. Divided by topic, it includes interesting descriptions of the people in their public and private lives. One thing we loved about this book is that it attempts to help the reader discover what made the people “Greek.” Maps, illustrations, a glossary of Greek terms and a helpful index are included. Note that this book begins during the Ancients I period. 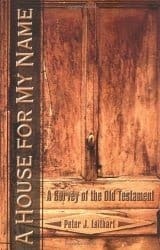 We recommend your student take reading notes of the predominant characteristics of the Greek people and how they lived. 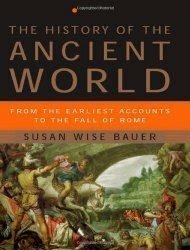 Specifically focusing upon the Roman Empire during its peak of prosperity from AD 100-300, this book provides a vivid look into the Roman culture, from the lowly slave up to the powerful emperor. It also offers the reader a glimpse of typical life in the country, in the city, described what amused the average Roman citizen and explained what he believed. 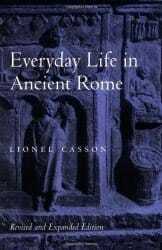 Very informative and valuable for understanding the Ancient Roman in all walks of life. In this highly acclaimed Christian classic the author traces how history has shaped what we believe and how we live today. Beginning with Ancient Rome, key cultures are analyzed to help the reader to identify and understand the gradual moral decline of our society. 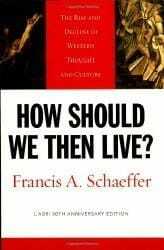 The author, the renowned Dr. Francis Schaeffer, hoped that this analysis would enable us to recognize and choose to refute what our culture commonly tells us to believe instead of what we biblically know to be true. Not to be missed! The author, writing from the Reformed viewpoint, explains the progression of the Christian Church from its New Testament inception through the end of the 1800s. Included is a description of the beginnings of the Catholic Church and the development of papal authority through the modern missionary movement. 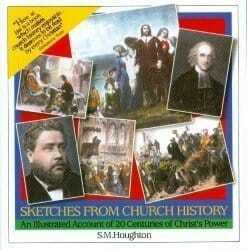 In this unit we will read about the founding of the church and the early church fathers through the advent of Islam. 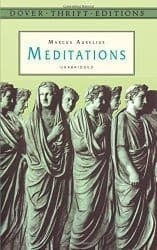 This well-respected translation of Marcus Aurelius offers not only his thoughts on life and existence, but also insights into his character. A quickly moving yet detailed overview of the entire Middle Ages is provided by a college professor and specialist in medieval studies. The author’s conversational writing style makes this book easy to read and the variety of illustrations bring this period to life! Not only will the reader glean an overview of the many political, cultural and religious upheavals during the fifth through 15th centuries, but also acquire a picture of the daily life of the average person during the Middle Ages. 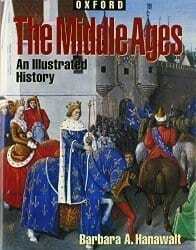 Note: Because there is some overlap between this book and others we are reading, it may be skimmed and/or used as a resource for research, but we have included it because it is a comprehensive overview of the entire Middle Ages. 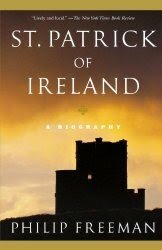 This fascinating and well-researched biography of St. Patrick was based on two letters written by his hand as well as archeological evidence, British and Roman records and papal documents. Where there is no direct information, the author has factually represented life as it was during the fifth century in Roman Britain and Ireland. If you’ve never read a book about St. Patrick, you will be amazed at his incredible story! 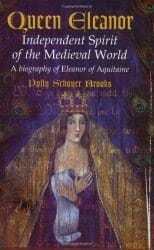 This captivating overview is of the life of one of history’s most intriguing characters, Eleanor of Aquitaine. First the queen of France before becoming the queen of England, Eleanor could be considered a woman WAY ahead of her time. This book will take you from when Eleanor was a child until her death at age 82 (after outliving eight of her ten children). This readable and entertaining book about the mother of both King Richard the Lionhearted and King John (remember them from Robin Hood?) describes her reigns of both France and England, her innovations of chivalry and courtly love into English court life, and her influence throughout Europe through her progeny. Despite her faults, she was a remarkable woman! 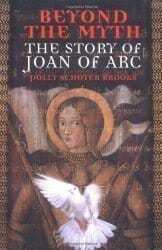 Another understandable and well-researched book, Beyond the Myth traces the life of Joan of Arc from her childhood to her incredible visions and heroic actions on behalf of her beloved France, and finally, through her betrayal and tragic death at the hands of her enemies. 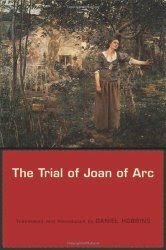 This excellent translation from the original Latin is the definitive primary source containing the actual transcript of Joan’s still- controversial trial at the hands of the English. This unique book, reading more like a novel than an historical account, traces the blossoming of both political and religious freedom beginning with the signing of the Magna Carta. You may read half of this book now and half during the next unit. Warning: this book is not a politically correct read that has removed all the gory parts of history like most textbooks you’ve encountered. This is the real deal that doesn’t shirk from telling you about the brutality of the leaders during this time period. 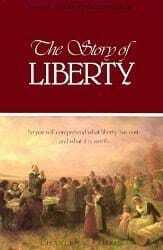 After reading this book you’ll be more grateful for the liberties we enjoy today and what was sacrificed to to attain them! 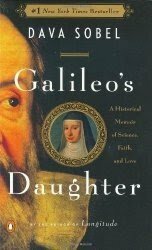 Although there are hundreds of books on this well-known character, only Galileo’s Daughter reveals Galileo not only as an innovative scientist, but also a somewhat impulsive trouble-maker (at least in the eyes of his detractors and the Catholic Church) while being a loving father, emotionally dependent upon his cloistered eldest daughter, Maria Celeste. Based upon papal documents, 124 existing letters from his daughter and other research, the author provides the facts concerning much of Galileo’s life, including his innovative inventions and his punishment at the hands of his beloved Church. This fascinating, quick-moving read about the colorful Sir Francis Drake is a fantastic summary of the Spanish-English conflict to establish who would be the king of the seas, ending with the Spanish Armada. There are many leadership lessons to be learned comparing the styles and practices of both sides of this fierce battle! 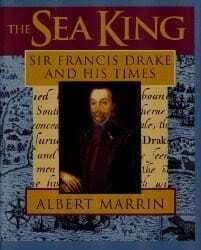 Well-researched by a master story-teller, the author tells the story of Drake’s life set in the politically-charged Elizabethan Age, in the Sea King. 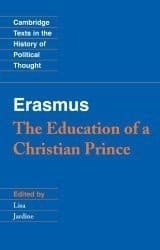 Like The Pr ince, this book is written to instruct a prince of the time period and expresses the thoughts and beliefs of its author, Erasmus, who lived during the Renaissance and contributed much to early political thought. Unlike Machiavelli, the author of The Prince, Erasmus was a religious man who sought to reform the Catholic Church and did not try to completely separate political from moral behavior. It is more economical to order a used copy or find this one in the public library. 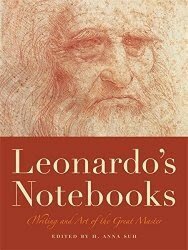 This gorgeous book is a careful and sensitive compilation of many of Leonardo Da Vinci’s most profound writings. 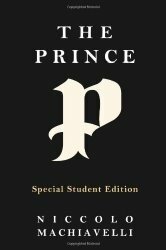 Including over a thousand exquisite examples of his pencil drawings along with their corresponding translated notes, readers will be freshly amazed at the breadth of knowledge and incredible powers of observation of this Renaissance genius!